You can never get enough of the action packed skilled driving of Ken Block’s Gymkhana videos. How would you make it any more entertaining? 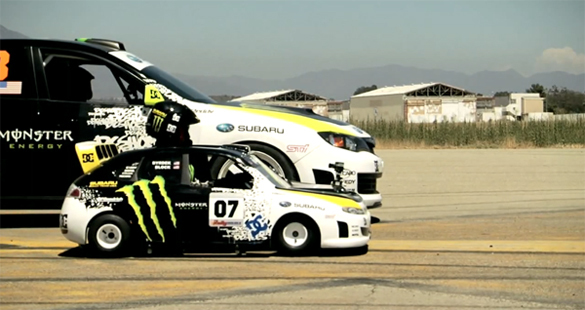 How about coupling a new Gymkhana 2.1 video with pro skateboarder Rob Dyrdek in his mini-kart model of Ken’s STi? Obviously the mini-kart was build especially for this Gymkhana series as a scaled replica. Enjoy the 3 minute video clip below and be sure not to blink during the near-miss stunt work and then the collision at the end.